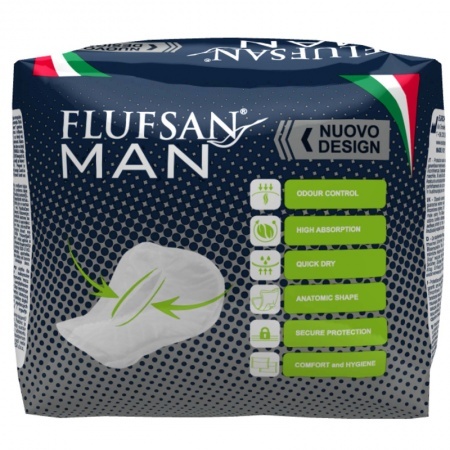 Disposable absorbent incontinence insert pads for men that guaranty maximum self-confidence in case of light incontinence problems. It is designed specifically for the male anatomy. The Odour Stop system neutralises bad odours. 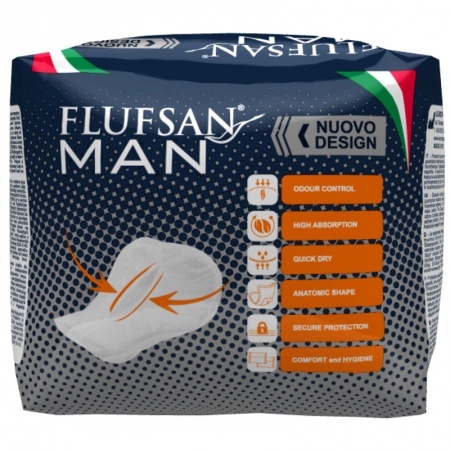 It provides discreet and effective protection as it adheres perfectly to the slip with a simple fixing system. Individually wrapped for greater discretion and convenience.